The two paths for God’s people – the path of adversity and the path of prosperity. Bonheoffer’s adult life was marked by adversity: he was misunderstood by his fellow pastors, opposed by the established state church, suspected and finally imprisoned by the Gestapo, separated from his fiancée and martyred for his part in the conspiracy against Hitler. Yet though it all there was a peace and a confidence that he was doing God’s will. Those of us who live in times and places when we are fortunate enough to regularly walk along the path of prosperity need to remember that this is not the normal experience for the Christian. God, in his grace, may allow us to be very blessed materially, but many of our brothers and sisters only ever know the path of adversity. Our momentary visitations or swift passage across this path are nothing compared to living every day on it. He was always ahead of the pack – he saw the danger of Hitler’s version of Positive Christianity before any of the other church leaders; he saw the pitfalls of the impotent Confessing Church as it finally took a stand against the “German Church”; and he saw that German had to lose the war if Christianity in Europe was to be reborn. “Bonhoeffer advocated a Christianity that seemed too worldly for traditional Lutheran conservatives and too pietistic for theological liberals. He was too much something for everyone, so both sides misunderstood and criticized him” (page 248). Often he was so far ahead of others that his logic was misunderstood and his appeals ignored. Yet he faithfully proclaimed and lived out his prophetic message. It reminds me that there will always a part of prophetic insight that means the prophet will be lonely, by the very fact that they see things earlier and speak more clearly than most people are ready for. He was holistic in his life and ministry. He blended the best of academia and culture, Christian community and intellectual rigour. He loved music and the arts, trained as an academic, lived as a pastor, discipled others by teaching, example and exhortation. He was a holistic person who believed the scriptures should not, indeed could not, be studied without daily prayer and meditation. He sought to build a living Christian community but rather than become isolationist, they purposefully discussed the most pressing issues of the day and Bonhoeffer pushed them to understand the times. He was a true anti-celebrity. Not only in the way he lived his life, but also in what he wrote, Bonhoeffer saw through the mirage of success and fame. “In a world where success is the measure and justification of all things the figure of Him who was sentenced and crucified remains a stranger and is at best an object of pity. The world will allow itself to be subdued only by success. It is not ideas or opinions which decide, but deeds. Success alone justifies wrongs done…The figure of the crucified invalidates all thought which takes success for its standard (from his book Ethics)”. Metaxas’ adds his own postscript that Bonhoeffer realised that “God was interested not in success, but in obedience” (page 363). The Christian life must be modelled. For his students he would seek not just to impart knowledge, but a way of life, he always wanted to model what he believed the Christian life and Christian community should be. “Bonhoeffer’s interest was not only in teaching them as a university lecturer. He wished to disciple them in the true life of the Christian. This ran the gamut, from understanding current events through a biblical lens to reading the Bible not just as a theology student, but as a disciple of Jesus Christ” (page 128). The challenge of direct action. When evil surrounds and it is your nation’s darkest hour, what direct action would your conscience allow you to take? More to the point, what does God require of you in that situation? Bonhoeffer was prepared to enter unchartered territory, arguing that he followed a God who “demands responsible action in a bold venture of faith and who promises forgiveness and consolation to the man who becomes a sinner in that venture”. Metaxas’ again sums up the issue “here was the rub, one must be more zealous to please God than to avoid sin” (page 446). In the mayhem that was Germany in the height of World War II, Bonhoeffer challenged people to rethink their scruples: “Who stands fast? Only the man whose final standard is not his reason, his principles, his conscience, his freedom, or his virtue, but who is ready to sacrifice all this when he is called to obedient and responsible action in faith and in exclusive allegiance to God – the responsible man, who tries to make his whole life an answer to the question and call of God” (page 446). The willing embrace of death. Unlike our anaphylactic reaction to the topic of death, Bonhoeffer often considered what it meant to die well; he was ready to die for a noble cause. “We hardly dare admit that we should like death to come to us, not accidentally and suddenly through some trivial cause, but in the fullness of life and with everything at stake. It is we ourselves, and not outward circumstances, who make death what it can be, a death freely and voluntarily accepted” (page 447). The affirmation of a redeemed humanity. In the midst of enormous suffering, horrendous violence and world war Bonhoeffer fell in love. His engagement to Maria gave him a greater appreciation for, and affirmation of, God’s earth. Bonhoeffer “was constantly trying to correct the idea of a false choice between God and humanity, or heaven and earth. God wanted to redeem humanity and to redeem this earth, not to abolish them…Bonhoeffer was trying to reclaim everything for God.” He understood the blessings of marriage and argued that “the “desire for earthly bliss” is not something we steal from behind God’s back, but is something that he has desired that we should desire. We mustn’t separate that part of life and marriage from God, either by trying to hide it from him as belonging to us alone or by trying to destroy it altogether through a false piety that denies its existence” (page 457). Bonhoeffer was passionate about figuring out what it meant to be a disciple of Christ in one of the darkest times in world history. However, he was not only committed to academic excellence, but also devotional living. He was prepared to model, and die for, what he believed. This is his challenge to me – to model what I believe God is saying to me in these days. I feel like I have much to learn in each of the areas highlighted – but I am seeking to understand how this works itself out in today’s church and society. 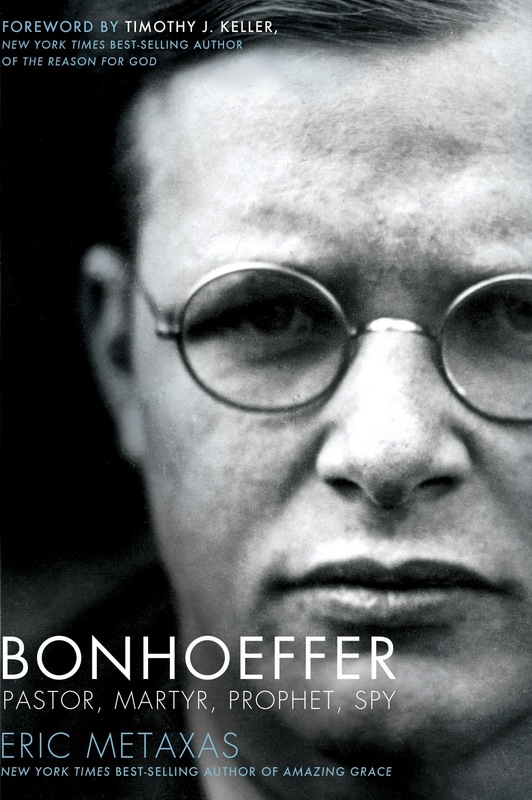 Through it all Bonhoeffer stands as a man who overcame adversity, temptation, doubt and fear. Even the Gestapo could not defeat him, they could only remove him. The same picture played out in the church; God was using the persecution to refine his church. Ruth von Kleist-Retzow commented to Dietrich “We live in strange times, but we should be eternally thankful that poor, oppressed Christianity is acquiring greater vitality than I have ever known in the course of my seventy years. What testimony to its real existence!” (page 295). God was winning. Even though his people were losing everything they had, they were overcoming their enemies. We too live in strange times; oh that God would renew and revive his church in this day to demonstrate its true vitality to a sceptical world. 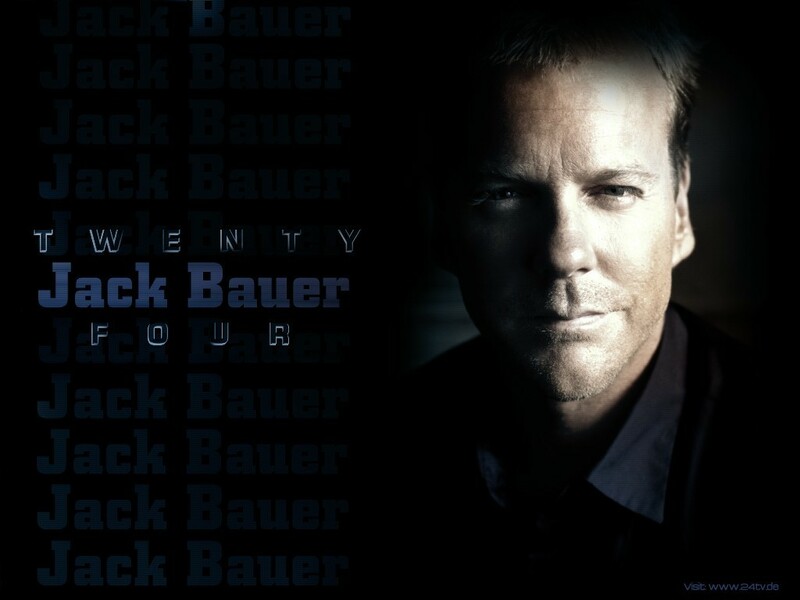 In the hit TV series 24, Jack Bauer is a counter-terrorist agent seeking out threats to national security and doing whatever is necessary for the greater good of saving the American people. In his high-octane adventures, Jack is no stranger to taking the law in his own hands and facing impossible life and death decisions. His no-nonsense attitude considers no risk too great if only he can save his country from its deadliest enemies. His is a utilitarian philosophy of life – making decisions based on what he considers the greater good; reasoning that it is better for him to kill one criminal than for thousands of innocent people to die. It’s switch-off, escapist telly that has no real bearing on normal life, certainly not for the Christian who would never be found in such extremely dangerous or complex situations. Or would they? How would a Christian behave if they, by some strange circumstance, find themselves in such situations? What if they were in a situation where to act could mean sinning, but not to act would certainly mean compromising your faith? Would it ever be right for a Christian to kill a tyrant to save thousands, or millions, of people’s lives? What if that tyrant was Hitler? What would you do, when doing nothing was the most unacceptable alternative? This was the very real dilemma for Dietrich Bonhoeffer and those around him during World War II. Bonhoeffer was a German Pastor who during the war was the key figure in leaking information about the Nazi atrocities to the West, and was part of the inner circle of conspirators seeking to assassinate Hitler. He was one of the people prepared to stand up to the Gestapo and was eventually killed for his part in the conspiracy to kill Hitler. However, before we get to his dilemma, a bit about his background. Bonheoffer had a warm and loving upbringing, full of music, the outdoor life and strong relationships. His family were among the most cultured and intelligent in Germany at that time; his father was an eminent scientist and his brother a famous lawyer. Dietrich was always an earnest young man, sincere, intense and thoughtful. His interest in Christianity was always very personal and real, and finally led to him studying theology and becoming a minister. As a leader of the church in Germany, Bonhoeffer was a prominent and outspoken opponent of the emerging Nazi government. Until he was strong enough to crush it, Hitler first attempted to woo the established church and deceived many of its leader through flattery. Bonhoeffer was not one of these, he was far too perceptive to be taken in. Bonhoeffer was ruthless in his search for truth, “he accorded theological ideas the same respect that his father accorded scientific ideas…questions about the Bible, and ethics and theology must be treated with the same rigorousness, and all cant “phraseology” must be identified, exposed as such and cut away and discarded. One wished to arrive at answers that could stand up to every scrutiny because one would have to live out those conclusions” (page 127). But his clarity of thinking and confrontational views often brought him into conflict with the other more-moderate leaders and his piercing prophetic expressions led to him often being misunderstood. Ironically, it was with leaders outside his native country that he found most like-mindedness. His trips to the UK and USA established strong connections with other church leaders and brought him to the attention of the world scene. 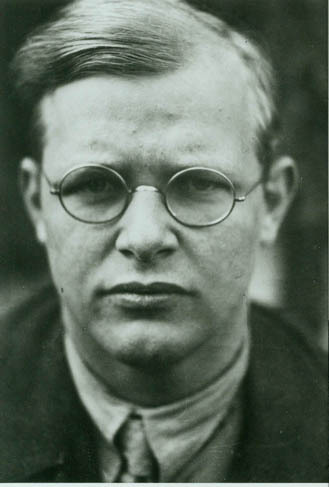 Back in Germany the war was about to start and Bonhoeffer was torn between returning to his homeland, where almost certain death awaited him, and staying in America where his increasing fame meant a secure lecturing position and a prosperous future. Ever the anti-celebrity, Bonhoeffer chose to go home and sailed back to Germany, not knowing what awaited him. He would say later on that “he had been “grasped” by God; that God was leading him, and sometimes where he would prefer not to go” (page 70). However, once back on home soil Bonhoeffer faced a moral dilemma of either joining an army in a war he morally disagreed with, or to avoid conscription, become a conscientious objector and face the firing squad. In the midst of his dilemma, and seeking to retain a useful role within the church, he took a job as an informer with the German secret police reporting on church activities. In a typical Bonhoeffer move, he actually worked as a double agent, secretly helping the church while pretending to inform on them. Only those close to him knew his true motives and allegiance and his duplicitous role caused many in the church to become confused. But these were confusing times, when loyalties to the state, the church and the family that had been intertwined for centuries in German culture were being pulled apart. The life of Dietrich Bonhoeffer stands as a symbol of truth against an avalanche of lies. It is the story of the power of right to overcome wrong. In his fight against evil he held nothing back – neither his own desire for happiness or his fear of a painful death. In the end he lost everything he had, his family, his fiancee, his promising career and finally his life. Any yet, as we look back from our vantage point we can see that in the final analysis he won. With some Christian leaders you learn from them mostly through their teaching, others teach you through their lives. For Bonhoeffer his life and devotion add greater depth to his teaching for it cost him so much. Finally, a word from Bonhoeffer about what drove him: “It always seems to me that we are trying anxiously in this way to reserve some space for God. I should like to speak of God not on the boundaries but at the centre, not in weakness but in strength, and therefore not in death and guilt but in man’s life and goodness” (page 467). God in the centre, God in life. This is what Bonhoeffer was passionate to see lived out, and this is his legacy for us who follow after him. May we found strength to be willing to lose everything in order to win Him who is worth more than life itself.